TURIN, Italy (AP) About 2,000 Napoli fans had accompanied the team to the airport for the flight to Turin. More than 15,000 waited for their return early Monday morning. A 1-0 win over Juventus will do that. Still celebrating the victory that put the team only one point behind Juventus in the standings, Napoli fans packed the roads to the airport and people even abandoned their cars to walk because of the congestion. The team bus took nearly two hours to travel a few hundred meters to the highway on its way back to the training ground – where another several hundred fans were waiting. The final whistle in Turin ignited wild celebrations in Naples, with fireworks being set off and people diving into the fountain in Piazza Trieste e Trento. More could be coming soon. Juventus arguably has the tougher schedule. The six-time defending champions still have to play Champions League-chasing Inter Milan and Roma, as well as Bologna and Hellas Verona. Napoli plays Fiorentina, Torino, Sampdoria and Crotone in its bid for a first title since Diego Maradona led the club to its only two Serie A championships in 1987 and 1990. Juventus was six points clear less than a week ago and looked to be on an unstoppable march to a seventh straight title. At one point last week, Juventus was nine points clear but Napoli came back to beat Udinese and Juventus was held to a draw at Crotone. Still, few people thought Napoli could beat Juventus in a league match in Turin – something which hadn’t happened in nine years. It happened again, with Kalidou Koulibaly heading in a corner for the lone goal in the 89th minute. 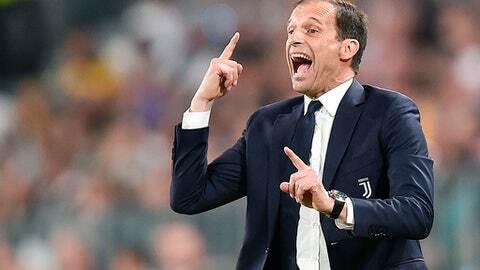 That sparked a tirade from Allegri in his post-match news conference after he was questioned about his team’s poor performances of late. ”The quality of our play? It’s been four years that Juventus has been playing 57 matches a year. I don’t understand. How many do the others play? They’re finished in December. Good Lord,” shouted Allegri, who also hit the table as he yelled.